i just returned from my first orange conference and i am delighting in many conference conversations that God placed throughout my time in atlanta. i am a people person. i thrive in community and God is faithful to place people in my path to encourage, equip, challenge, and listen when i need it most. last week was no exception. one person i couldn’t wait to meet was amy fenton lee. amy, a special needs blogger (www.theinclusivechurch.com), had been pivotal in my ministry before we would even meet face to face. she was so sweet to take time to talk me through one of the most trying times i have had in ministry. she not only listened and encouraged me, she researched and sought information on my behalf. so needless to say, i couldn’t wait to hear her heart and passion for special needs ministry. even though her workshop was practical, helpful, and Christ-centered, it was my casual conversation with her that blessed me most. her talked matched her walk (blog). she was just as passionate out of the spotlight as she is in front of a group of thirsty children’s ministry leaders. her humility was refreshing. she freely admits to not having all the answers, but as she says that you sense her desire to do all she can for special needs families and the Kingdom! i for one am so grateful, not only for her ministry, but for the authentic conversations i have had with her. i look forward to many in the future. 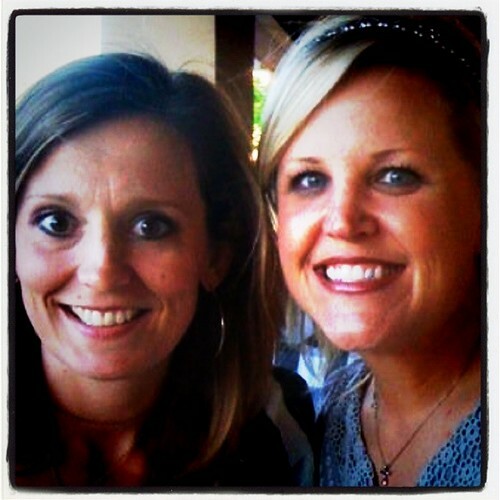 then there is donna harris, a KidMin leader i met through twitter and only knew through one phone call. how fun to spend time with her as we both sought information and encouragement at the conference. not only did we talk “ministry”, i was also blessed by the wisdom she shared as i was transparent about where i am in ministry now. our conversation time was such a gift for the weary parts of my heart. i am also always blessed to spend time chatting with jenny funderburke. her face and words radiate the joy she has in serving in ministry. i can’t help but smile when talking to or about her. God is doing amazing things through her and i look forward to hearing more and more about them. all this talking has me thrilled about KidMin in October where authentic conversations are central to the culture of this new conference. this brings me to gina mcclain, who is one of the people i am most excited about hearing at KidMin. through conversations i have had with gina since meeting her this year, i am always impressed with her humility and frank honesty. she is such a great mix of the heart of ministry and the practicality we all know that must be addressed when serving/working in the church. she is the real deal. you won’t want to miss hearing her heart, but also the chance KidMin offers to really interact with her as one of the conference leaders. i think we will all be blessed. is it october yet? It was a JOY to spend time you with you! I hope I can work it out to come to the Kidmin conference! Blessings to you as you serve children in the strength of the Lord. Amy and Gina are both great!